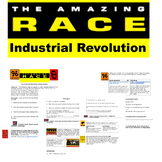 Amazing Race template for review game. Fill in the information or task and print. Can be use to review math concepts or reading concepts. Can go with any worksheet for review. Canadian Regions: Amazing Race Style! 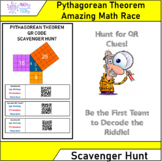 Orienteering: CSI/Cludeo /Amazing Race Style: Create a CSI orienteering course! 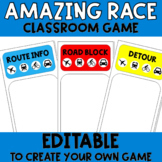 Amazing Race- CREATE YOUR OWN! Nation Building in the Post Colonial World, Using The Amazing Race! Phil Keogan has hired YOU to gather information for the upcoming season! 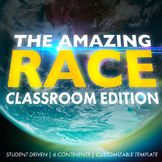 In this assignment, students will tour the world using The Amazing Race as their inspiration. As they conduct their "virtual" travel, they will text their results to Phil- a fun way to engage them in summarizing important info! Amazing Race: Le Noel autour du monde!